Powerful soundbars and curved OLED screens are breaking out of the living room and into the car, as advances in automotive infotainment are turned up to 11. This year’s Consumer Electronics Show in Las Vegas introduced step-changes in hardware, graphics, speech recognition and artificial intelligence in Mercedes-Benz, Maserati and Jaguar cars, developments that will be in your motor from as early as June 2018. 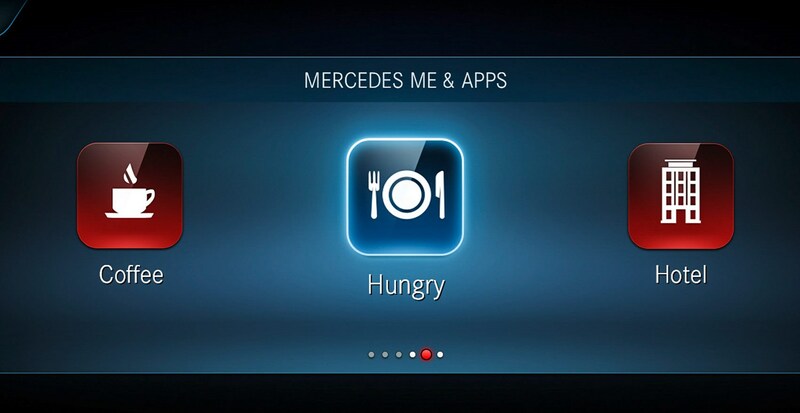 Mercedes-Benz is leading the way with MBUX (short for ‘user experience’), an intelligent digital multimedia system that will take its bow in this summer’s A-Class before being rolled out to every new Merc. With its voice, touchscreen or touchpad controls and graphics that can compete with powerful games consoles, MBUX – co-developed with Samsung-Harman – makes Audi’s new A8 already look old-fashioned. 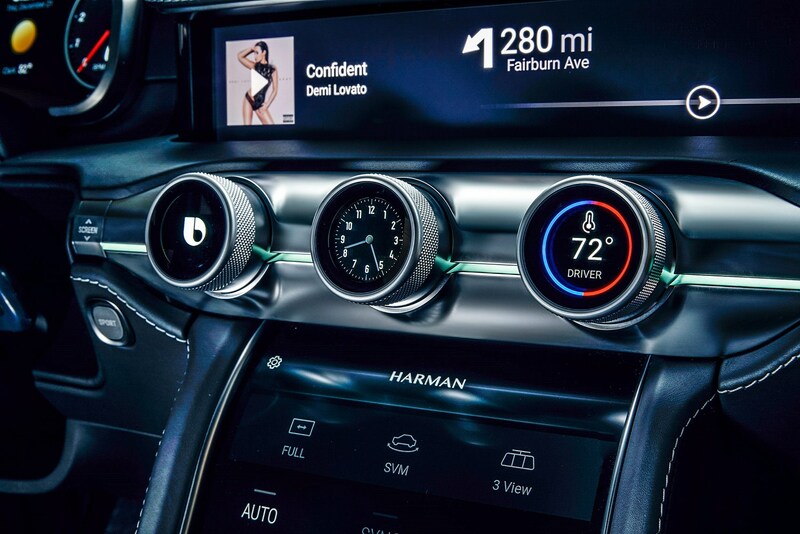 The pace of change in electronics is Usain Bolt-like, and Samsung-Harman also showed a Maserati GranCabrio fitted out with its next-gen multimedia. 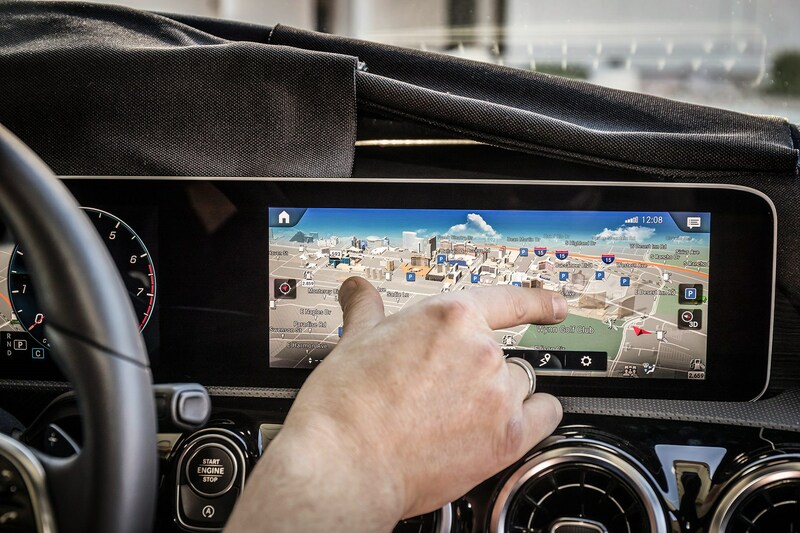 The digital facia arcs all the way across the dashboard, with functions such as maps or passenger video screens configured by touch, just like rearranging the app tiles on your smartphone’s homepage. The screens pop up from the dashtop. The Korean electronics giant Samsung, famed for its phones and TVs, bought high-end audio maker Harman for $8bn in 2016, to help access its car industry relationships and mine the connected car trend. The Maserati was enabled using Samsung technology – processors, screens, cameras – combined with a Harman/Kardon eight-speaker sound system and navigation. And it could be in a production car in two years. Samsung-Harman has combined LCD, QLED and OLED screens for the first time in a car. A curved ‘S’ shape OLED screen is employed in the centre stack; expect interiors to get increasingly quirky once designers are freed from the need to use flat screens. Quantum-dot light-emitting diodes (QLED), developed for Samsung’s TVs, give a deeper black with richer colours and brightness for super sharp imagery in the passenger’s display panel, in this case for picking tonight’s menu. NVIDIA supplies powerful processors that help create the computer-generated imagery in Hollywood blockbusters as well as running gaming consoles and the software used in many car design studios. And those processors are powering cars too: MBUX uses NVIDIA’s Reilly PX as the basic graphics chip and a Parker 128 for the top graphics chip – that’s three to four times more powerful than its predecessor. It enables owners to manipulate a pin-sharp three-dimensional image of their car to explore various functions. Artificial intelligence rarely lives up to its billing, but it is good at remembering your previous actions, whether that’s driving routes, music preferences or favourite restaurants, and it can rummage through your electronic diary and remind you that Mum’s birthday is coming up. MBUX can store eight driver profiles, which you can select on the touchscreen. Harman is working on more features. If you’ve been regularly red-lining that Maser V8 it could suggest an early oil change as the AI is linked to the engine management. Or if you set a route to the beach it’ll suggest you take your suncream. 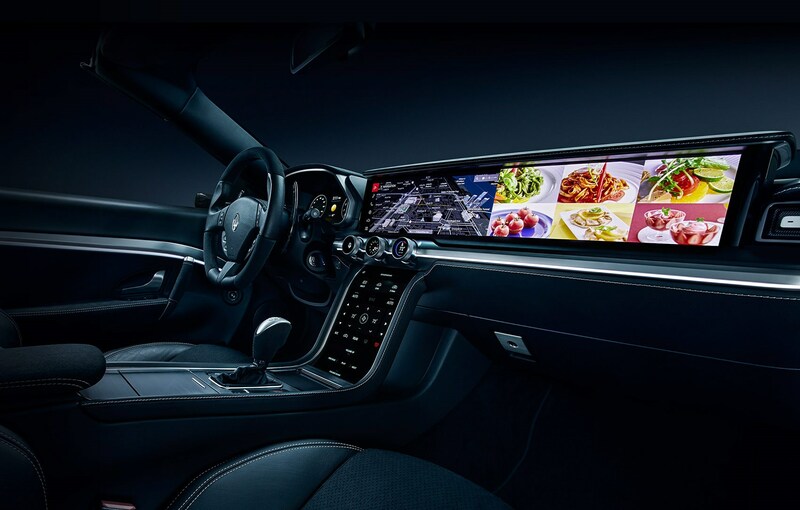 Mitsubishi Electric supplies Jaguar-Land Rover infotainment systems, and its next-gen approach smoothly integrates voice and swipe control with haptic feedback from the screen. You can use voice to switch control modes between air-con, map, pre-sets and entertainment. Fine tuning is by virtual knobs which can be reconfigured for passenger and driver temperature control, for instance, with simulated feedback to help you set volume or map zoom. The aim is avoid user frustration at having to delve through menus for a simple action. Voice recognition technology has been pretty clunky, needing you to remember set phrases and instructions, but the advent of Google Assistant and Amazon Alexa has opened up new possibilities. Say ‘Hey Mercedes’ to access MBUX, and the system’s artificial intelligence enables it to understand commands as indirect as ‘I want some German bread’ to fire up sat-nav or ‘It’s too hot in here’ to activate the air-con. In a Merc demo, the word ‘Ola’ triggered suggestions including a call to Merc R&D boss Ola Källenius and a route to Ola, Alabama.